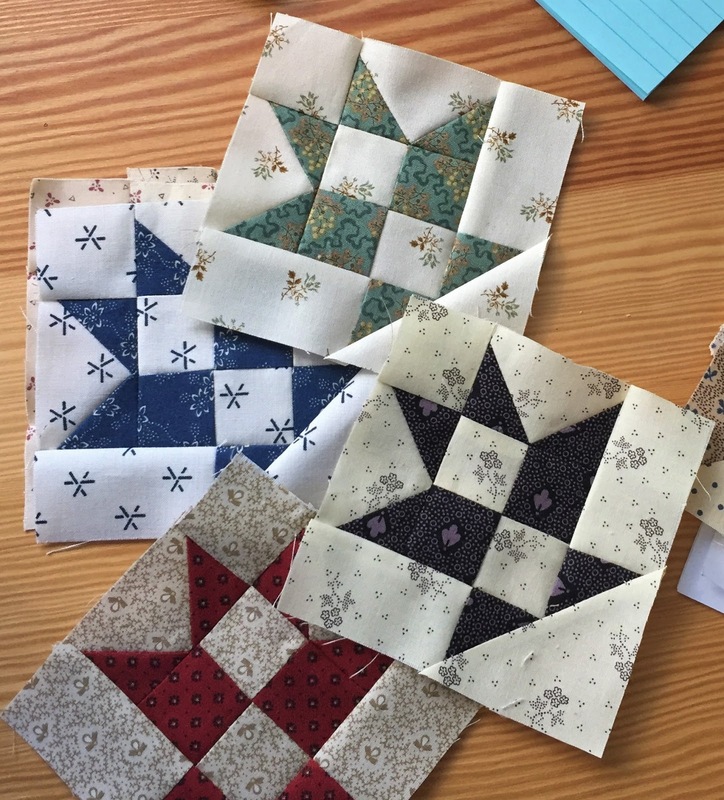 Making small quilts can be quick, fun and rewarding. They're easy to make and yet I know that it's often difficult for some of you to find the time or get motivated to do that. I understand completely. Life always gets in the way. We have good days (or weeks) and bad days (or weeks). Days we feel like sewing and days when everything (gosh darn it) seems to stand in the way of us making it into that room to sew. Roadblocks all over the place. What you need is a plan, my friends, to counteract the detours. Sometimes, quilting within a community of those who also love small quilts gives you that motivation. 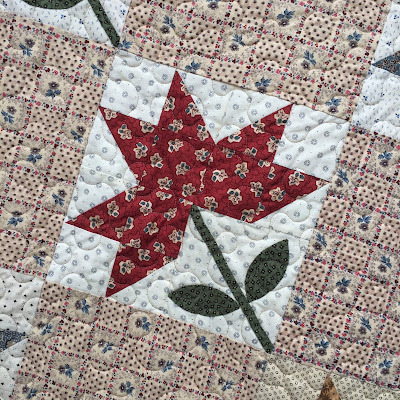 Try joining one of my quilting groups listed on the sidebar of this blog. We do small quilt challenges every month. No pressure. Just follow along best you can. 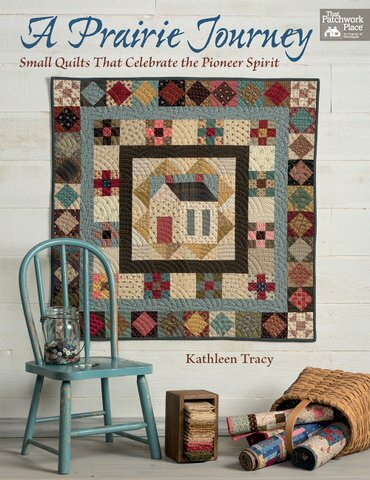 Most of us love the idea of having a nice stack or wall of small quilts to display. The problem is to stop dreaming about this and actually create the time to get them made. I try to encourage quilters to follow along in my groups to make the challenge quilt that's posted every month. Do a little each week. You'd be surprised at how much can be accomplished in a single month if you're surrounded by supportive quilters who are trying to do the same thing. It's also fun to see the different varieties of styles and interpretations of my patterns that people make. So here's the good news for April: beginning this month, my Facebook Small Quilt Lovers group is having a sweet sew along. 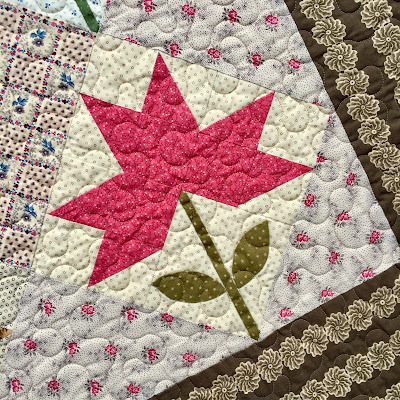 Some have decided that now is the right time to start (or finish) my Peony Star quilt from my book Remembering Adelia. It's an oldie but a goodie. If this is something you've had on your list for awhile, now is the time to join in. 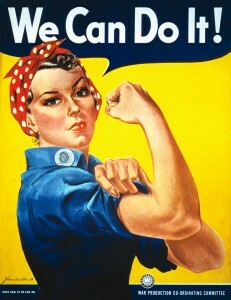 Get 'er done! 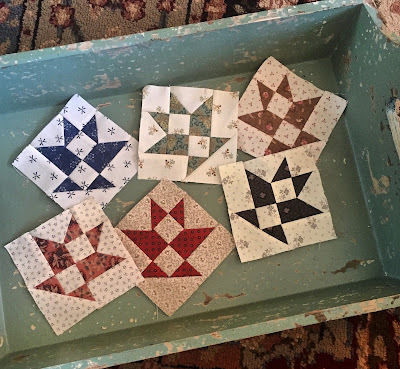 Follow along in the Facebook group with our hostesses Ann and Sue and they'll help keep you motivated to make the blocks on a timely basis and finish this lovely quilt. 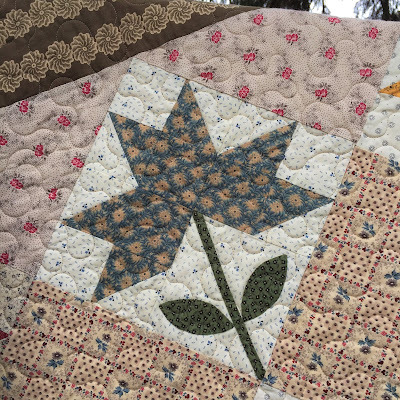 It's one of my favorite spring-like quilts and so maybe if we work hard, together, it will encourage spring to finally show up, who knows? It's been pretty dreary here in Chicagoland for too long and I am anxiously awaiting to see those peonies show up in my garden. 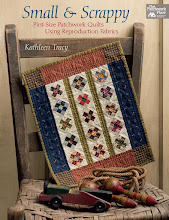 The Sew Along (SAL) officially begins on April 15. Right now they're focusing on picking fabrics for the blocks. Because these blocks are a tad bigger than the ones we small quilt lovers are used to making, you'll want to experiment a little. Pick the colors and prints you love and see how they blend together. Maybe add a few larger prints for some nice, scrappy contrast among the blocks. If you don't have my book Remembering Adelia, I have limited (signed) copies available on my website. 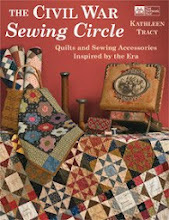 On sale right now just for the sew along. In other news - we're also still working on our 2019 Mystery Quilt. 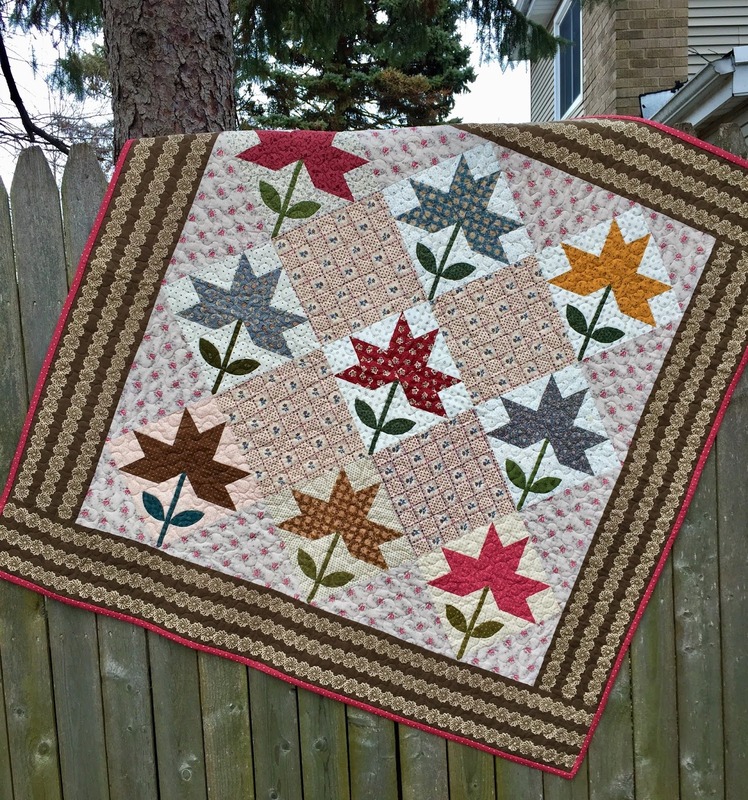 You can find the monthly patterns in the group files or on my website under the Mystery Quilt page. A few more months to go and then all will be revealed in July. 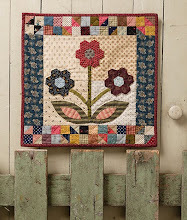 April's block is called Baby Bunting.